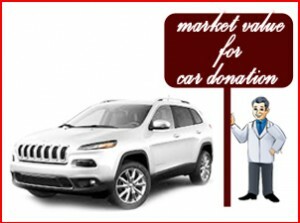 Donate the car directly to the trust or charity as it can value more both the donor and the receiver. There are many intermediate agents act in between the process, where some look for their own benefits. When directly approached with charities they use your car either to help needy for their emergency move or sell it auction for rising funds through it. As a donor you can claim for exact value for your car in tax redemption by knowing the fair market value for the car. To get the tax reduction for fair market value of your car, you need to have made your donation with charities that hold 501(c) (3) status else cannot be entitled to claim for any tax exemptions. Some intermediates will actually deal with non-profit organizations and will fetch the bills for donation where you can claim for tax deduction. Before finalizing with the agents makes sure of the percentage what they contribute to the charities because your tax will get deducted based on the value it reaches to the charity. When the charity wants to make a “significant intervening use of the vehicle” and no permission is authorized to sell the vehicle before completion of the use. When the charity wants to make a “material improvement to the vehicle”. When the charity sell or give the vehicle to needy who are in need of transportation at a price lower than the fair market value. When the charity sells your vehicle for $500 or less, you can claim the fair market value or the exact auction price of the car.